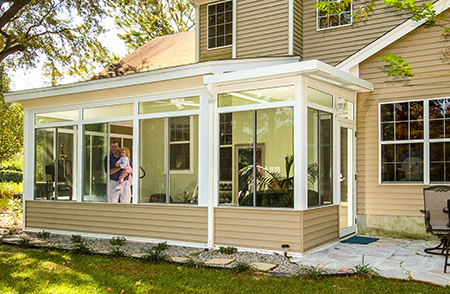 Patio enclosures have been a popular home additions for people in Bear, Middletown, and other portions of Delaware, for years – and for good reason. 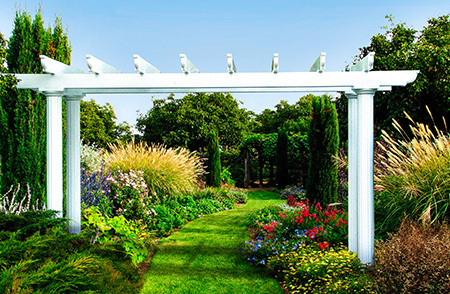 They can expand the livable space of the home and allow residents to experience the beauty of the outdoors without many of the downsides. At SRA Home Products, we are proud to help homeowners transform their abodes by installing patio enclosures manufactured by TEMO, the country’s premier manufacturer of outdoor living products. One of the most appealing reasons for homeowners in Bear and Middletown to turn to SRA Home Products for patio enclosures is our ability to customize a room for a home’s particular dimensions. They can choose from our screen rooms or sunrooms, both of which are available in several sizes and styles, including 1-, 2-, and 3-wall configurations. These sleek, universally appealing designs allow our products to blend seamlessly into homes of all styles. Durability – All TEMO products are manufactured with strong extruded aluminum frames that resist rusting and rotting. Protection from the sun’s UV rays – The thermal roofs on our enclosures deflect UV rays away, protecting occupants from them and helping to reduce the temperature of the room below. 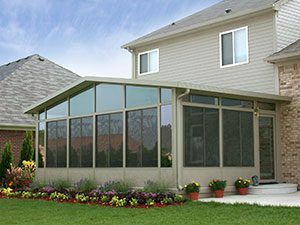 Shelter from the rain – Our sunrooms are equipped with glass panes to shield against the weather, and our Ultimate Screen Room can be outfitted with vinyl sashes that block out the elements. Additionally, every SRA Home Products outdoor living structure is constructed by our highly experienced, factory-trained technicians. Our commitment to providing excellent products and meticulous installation is the reason why we have earned and maintained an A+ grade from the Better Business Bureau. For more information about our range of patio enclosures, contact SRA Home Products today. We are proud to serve Middletown, Bear, and surrounding DE communities.